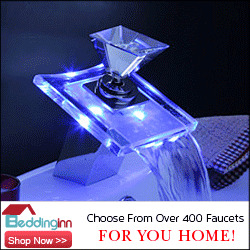 Kitchen and Residential Design: Quick! Buy a brand new indoor air polluter for just $68! Quick! Buy a brand new indoor air polluter for just $68! Someone sent me this yesterday along with a gushing note, "OMG! 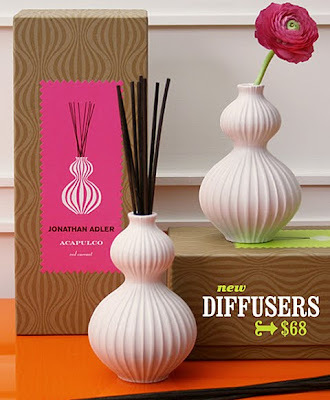 Did you see Jonathan Adler has reed diffusers now?" No, I didn't know and I suspect that I was happier not knowing than I am now. Good Lord, in what kind of a world to people gush over a $68 bottle of stink? And no, $68 is not a typo. Further, why would anyone pay someone $68 for a bottle of stink who's previously recommended this for a girl's bedroom? How is that even remotely attractive? I get it, he's being campy. But please, does an eight-year-old girl need to live with a middle-aged man's idea of what's clever? Does anyone really want their kids to sleep in a room that purposely ugly? If I haven't mentioned this in a while, the emperor has no clothes. 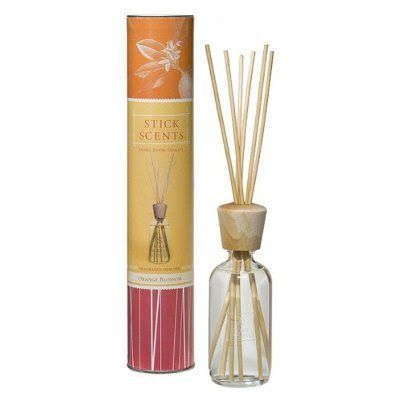 If I want a reed diffuser, why should I not buy this one from Target for $9? At $9, it's still a waste of money but it's a little more palatable than it is when it costs seven-and-a-half times as much. This same, thoughtful soul who sent me the alert about the Adler reed diffusers takes absurd delight and sending me all sorts of helpful reminders. Most of them have to do with the hidden dangers posed to me by the mysterious "toxins" that surround me and why I need to "live green" and "detoxify" myself regularly. So lady who will remain anonymous, this one's for you. The conventional wisdom holds that one of the "toxins" that threaten me with every breath are VOCs. Well, conventional wisdom likes to latch onto a scientific concept and then run with it to as many silly ends as are available. VOC is an acronym and it stands for volatile organic compound. Volatile means that something evaporates at room temperature. Organic means that something's carbon-based (not the meaningless label people use to charge more for groceries), and a compound is a blend of two or more chemical elements. VOC is a generic term and it can describe anything from the scent of a rose to paint fumes. However, the US EPA has identified a subset of VOCs as health threats. A small subset of VOCs are reason for concern, and one of those VOCs is called dipropylene glycol methyl ether or DPGME. If you ran a business and you allowed you employees to be exposed to high levels of DPGME, you would be shut down and fined so fast you wouldn't know what hit you. Now, reed diffusers are an odd bird. How they work is that a scented oil concoction is allowed to evaporate slowly through a wicking action. A scented oil (which is a VOC) by itself is too thick to wick efficiently so it's mixed with a chemical like ethyl alcohol (another VOC) to thin it out. Once it's thinned though, it wicks too efficiently and it needs a third chemical, another VOC, to slow it down. That VOC is more often than not our old pal dipropylene glycol methyl ether, or DPGME. So when you buy a reed diffuser, whether it's an absurdly priced one from Jonathan Adler or a cheaper one from Target, you are filling your bathroom with DPGME and it very rapidly exceeds levels deemed to be safe for occupational exposure by the EPA and OSHA. Here's OSHA's fact sheet on DPGME. Isn't it hilarious that a lot of the same people who claim to get sick from paint fumes can fill their homes with reed diffusers and scented candles and thrive? Chemistry's your friend folks. Really. It never ceases to amaze me the crap people buy. I was in line at Michael's a couple of weeks ago and two people ahead of me bought >$25 worth of resin pumpkin figurines and varying assortments of holiday "decor" that reeked of chemicals. You know, that sickening chemical/spice smell that assaults visitors at craft stores? I will never understand the affinity for schlock like that. I don't get it either Melody. There's some kind of a correlation between people who buy this kind of schlock and a belief in every junk science claim they come across, I'm convinced. That bedroom looks like Kermit the Frog and Miss Piggy exploded. But anyway, about those reed diffusers -- thanks for the explanation of VOCs and how these things are probably doing the opposite of what you think they're doing. They're not making your room smell good, they're filling your room with stuff that's bad for you!! Well, how bad they are for you is open for debate. But things are rarely what they seem. The world's not such a scary place when you study and understand it. Thanks Paul. I so agree! I strive for the most difficult of all scents in my home: pure,clean, neutral "scentless-ness". This can be most difficult to achieve! One exception: I do feel that an artificial scent in the powder room (for dinner parties)is reassuring for the guests. Don't you? Oh, I'm with you Leona. I don't go in for room scents generally. There is however, a can of spray stink in my bathroom just in case. My only issue is the idea that there's anything natural or healthful about the stuff. I still use it, but it makes me crazy when I read the claims made by the manufacturers and retailers of it. The emperor is not only naked, he smells bad too! And what the hell is Acapulco Red Currant anyway? Do red currants even grow in Acapulco? My mom kept a box of matches in the bathroom for those "natural organic compounds."